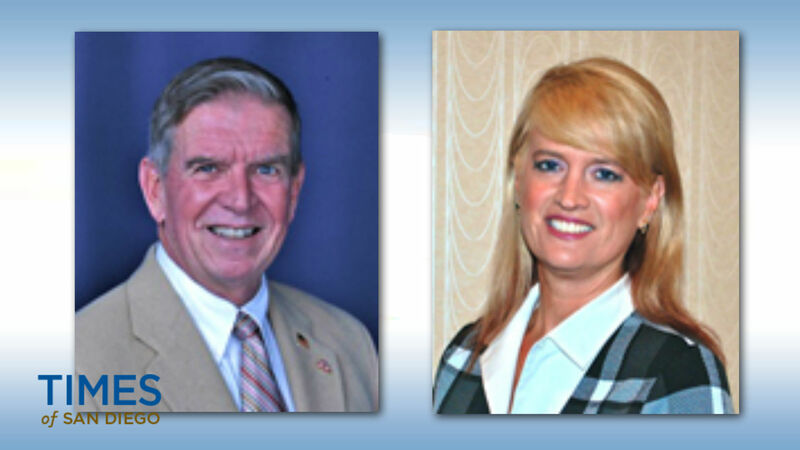 Two members of the San Diego County Board of Education stepped down Friday. Doug Perkins’ resignation takes effect Monday, while Lyn Neylon’s is effective June 30, according to the county Office of Education. Perkins suffered a stroke four months ago and said he is stepping down for health reasons. He was elected last year to represent the coastal area between Del Mar and Camp Pendleton. Perkins previously served on the Del Mar Union School District board for almost seven years. Neylon, who represents the southwestern portion of the county, said she is moving out of her district. At a meeting scheduled for Wednesday, the county Board of Education will establish the timeline and procedures for filling the seats vacated by the two. The County Charter gives the board 45 days from the date of a vacancy in which to make an appointment.